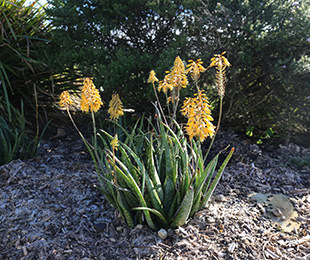 Description: Mighty Gold™ Aloe is a compact and tough succulent plant. 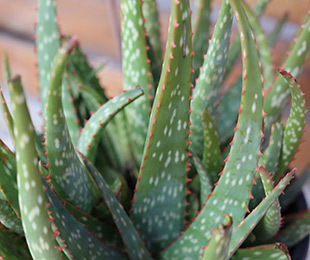 It is drought and frost tolerant, and handles occasional periodic wet feet. 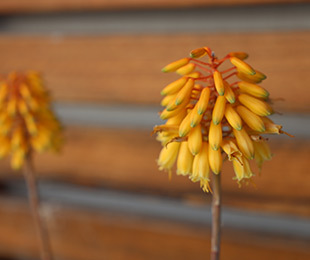 It displays beautiful gold flowers in the cooler months and has interestingly spotted foliage. Size: 25cm high x 35cm wide foliage; 55cm high flowers. Uses: Mass planting, border and specimen planting.